Holiday inventory shrinkage may seem inevitable, but you can take steps to limit your exposure. With stores packed with customers and staff working hard to keep shelves stocked and manning checkout lanes, it can be hard to keep an eye on every item in your store and every person in your business. Between Black Friday and Christmas Eve businesses experience 37 percent of their annual shrinkage, with the bulk of this loss coming as a result of shoplifting and employee theft. Installing a new security camera system now can help you prevent or reduce your loss in the next holiday season, while also giving you time to familiarize yourself with your new system. Here are a few ways that security cameras can help your loss management team reduce shrinkage next season and throughout the coming year. Don’t hide your cameras. When thieves know they’re being watched they’re less likely to steal from your business. Posting warning signs in areas with higher-priced items, at entrances and exits, and inside your fitting rooms. While cameras are not allowed in fitting rooms, you should have cameras just outside the entrance to changing rooms and have the feed monitored whenever possible. Whether they think they’re blocked by the crowd or that there simply aren’t enough eyes to watch everyone, shoplifters seem to become emboldened by the holidays. Prominently displayed security cameras discourage theft by employees and shoppers alike, so their mere presence will result in fewer incidence for your security team to respond to. When thefts or shoplifting does occur, your surveillance cameras can help police identify the perpetrators quickly and prosecute them. The second leading cause of inventory shrinkage is internal employee theft – a shocking 30 percent of all loss. Employee theft can be anything from taking a product from the sales floor to taking office supplies from their desk or taking a few dollars from the cash drawer. Employees who work in businesses with surveillance cameras that are regularly monitored are less likely to take cash or inventory from the workplace. Be sure that your employees know that security cameras are watching the cash drawer and sales floor and that managers or security personnel regularly review the footage if you want to fully utilize your security cameras for crime prevention. 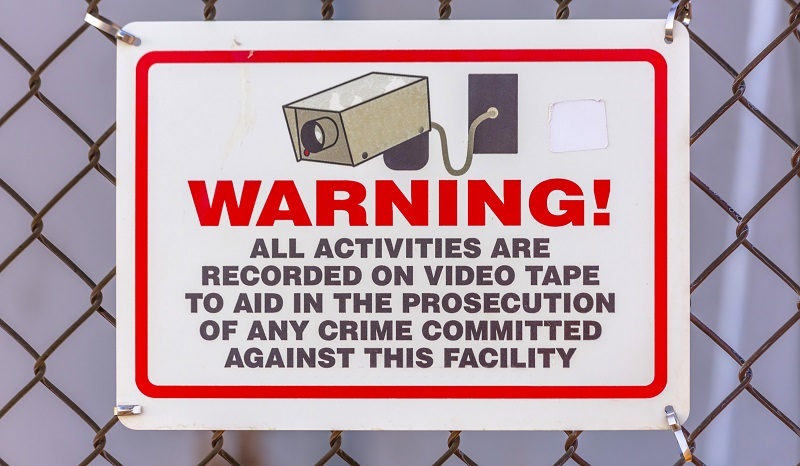 Make sure that regular employees don’t have access to your security system to prevent deletion of incriminating video. Installing your security cameras early allows you to familiarize yourself with your new system and work out any kinks you may find during the year. For example, you may find that you need additional camera coverage in specific areas or that you need a different type of camera than you initially thought. You’ll also be able to work out the ideal video storage length for your business. While you may opt to start with shorter storage lengths at first, you may discover that you need longer term storage due to a variety of factors. Inventory loss can have a significant negative impact on your business. Limiting your company’s risk of experiencing this kind of loss during the busy holiday shopping season helps give you a positive start in the new year. Our security camera experts help you find the right system for your business – helping reduce the opportunity for inventory loss. Our free one-hour site visit and consultation gives you the perfect opportunity to discuss your security concerns with our camera security experts. We review your budget, site plan, and discuss your storage needs to provide you with the best options to meet your security needs.